That didn’t look at all like something the Buddha would have said, especially since fate is an alien concept to Buddhism. The Buddha taught the doctrine of karma, which people often think of as being a kind of fate-like external agency. But in Buddhist terms karma is not like that at all. Karma is the action we take that shapes our personalities and predisposes us to future suffering or wellbeing. The Buddha also, as far as I’m aware, never talked about what he “believed.” He talked about what he had seen, knew, or realized. Buddhism is not a belief system. So this one is all wrong. 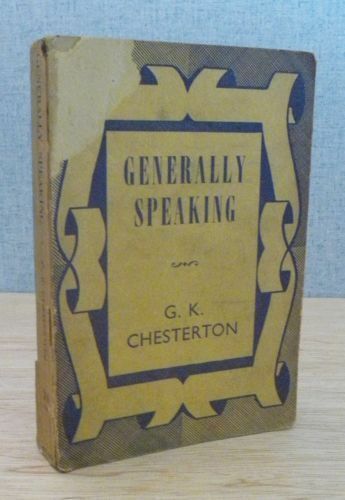 The essay was originally published in the Illustrated London News, and then printed in a marvelous collection of essays under the title “Generally Speaking.” The whole book is available as a (scanned) PDF here.